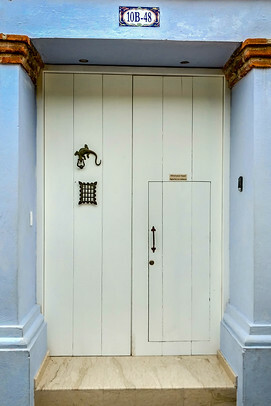 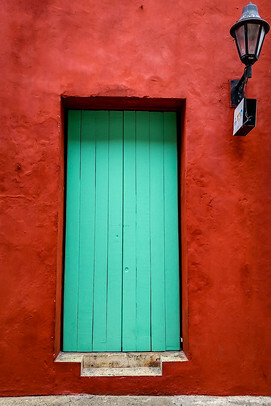 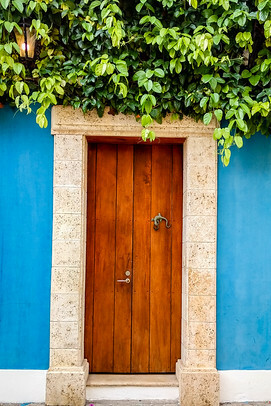 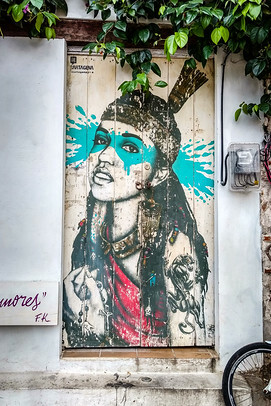 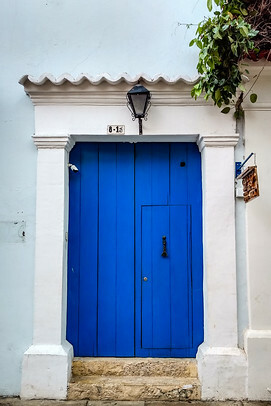 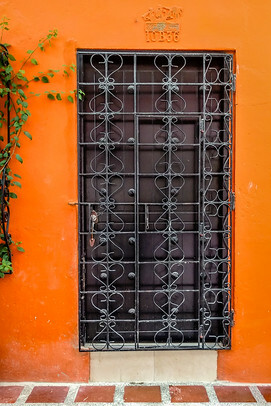 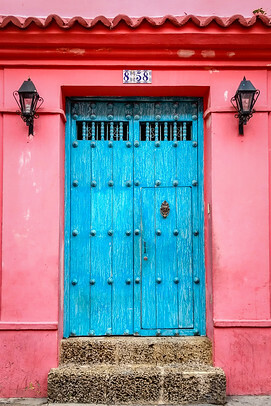 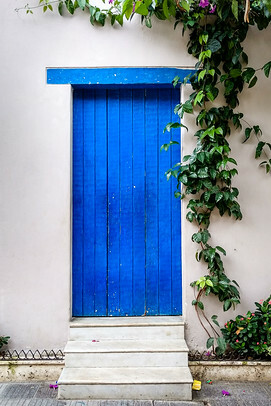 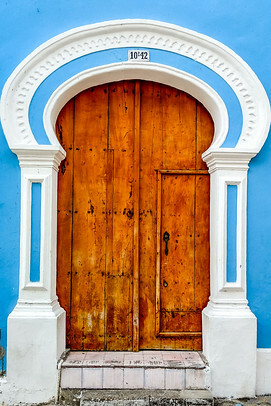 Would you believe it’s worth traveling to Cartagena just to see the doors on people’s homes? 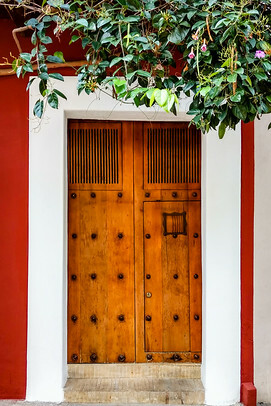 The bright and colourful doors of Cartagena’s old town perfectly encapsulate the city’s warmth, vibrancy, and long history. 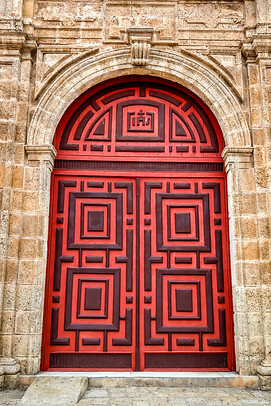 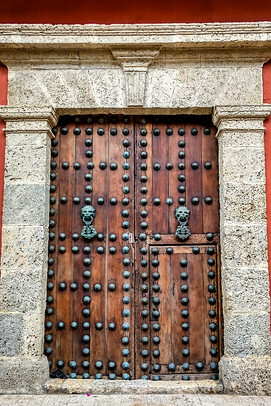 For that reason, this post is a brief photo-essay focused on Cartagena’s stunning doors. 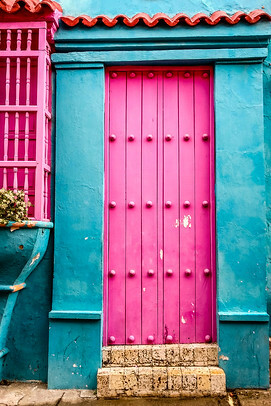 Scroll down and skip the reading if you just want pretty photos! 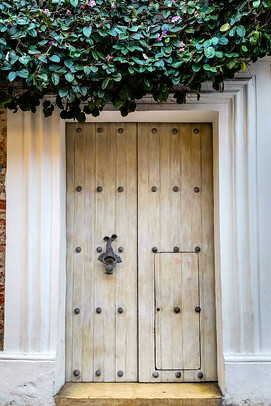 Scroll down and skip the reading if you just want to see pretty photos of doors! 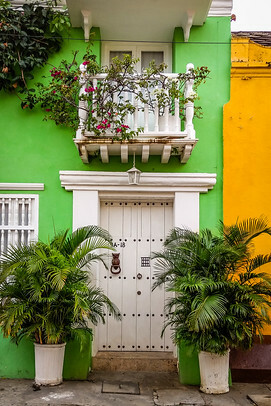 Founded in 1533 on Colombia’s Caribbean coast, Cartagena de Indias was the first Spanish colony on the American continent. 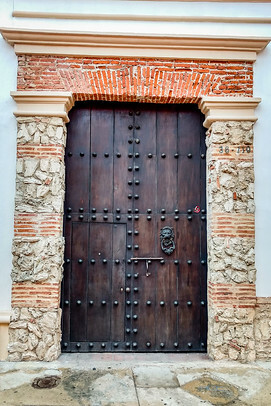 As the Spanish pillaged riches from Amerindian nations, including the Incas, the port of Cartagena became a hub for shipping the stolen cargos back to Spain. 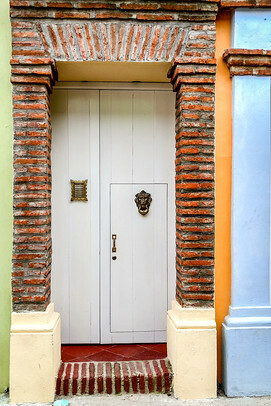 Cartagena also prospered because of the slave trade. 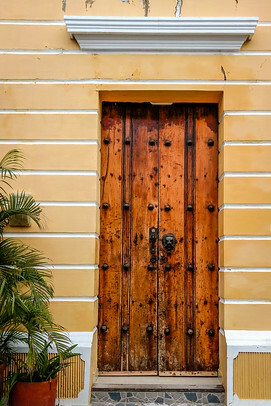 At the beginning of the 17th century, the King of Spain granted Cartagena a virtual monopoly over the trade of African slaves in what is now South America. 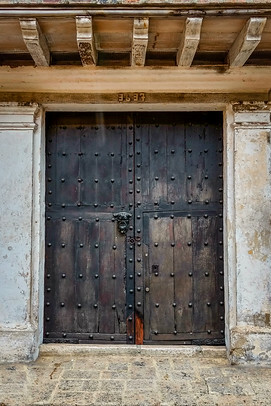 Over the years, over one million captive African slaves were brought through Cartagena. 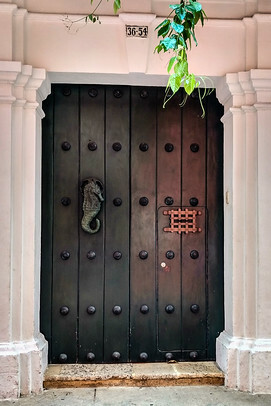 Due to Cartagena’s wealth, the city was attacked numerous times, both by pirates and European powers vying for control of the “New World”. 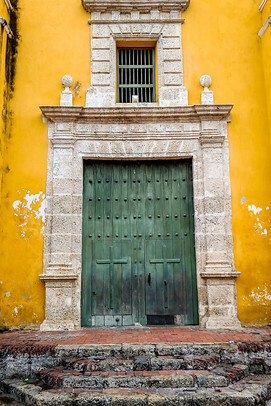 To help defend the city from attack, massive fortifications were built by the Spanish around Cartagena. 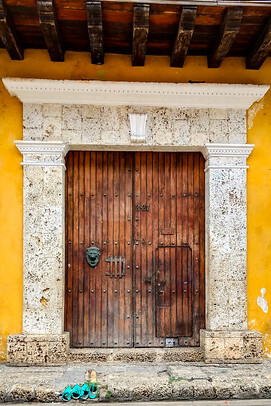 The areas within these walls are now known as the Ciudad Amurallada (walled city), Centro Historico (Historic Center), Corralito de Piedra (playpen of stone), or most simply, Ciudad Vieja (old city). 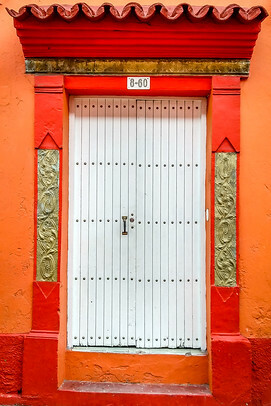 There are four separate districts including the Downtown or Centro, San Diego, Matuna, and Getsemani. 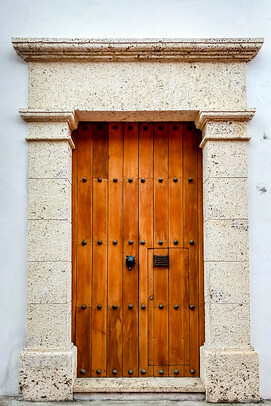 Each district has its own look and feel and the areas’ historic residents can often be identified by closely observing the buildings’ doors. 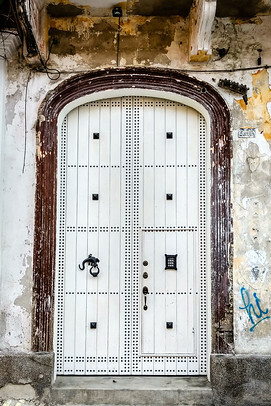 For example, Getsemani was traditionally a neighbourhood for slaves. 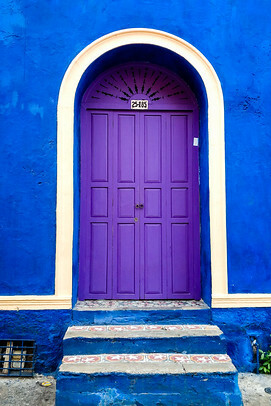 The doors tend to be of a cheaper and less elaborate construction but painted in bright colours. 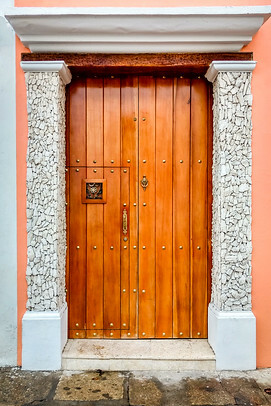 I personally believe this vibrancy comes from the ethnic mix of Cartagena’s mestizo inhabitants, who use song, dance, energy, and spirit to find joy and happiness and move beyond their troubling impoverished pasts. 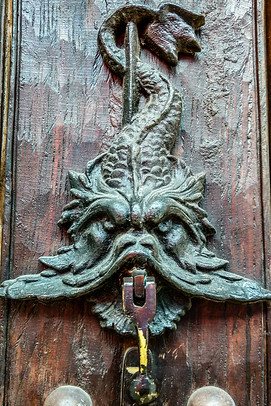 In wealthier areas of the old town, not only are the doors larger and more elaborate but many contain intricate aldabas (door-knockers). 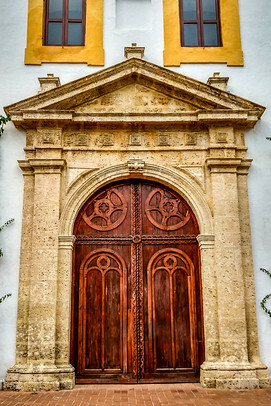 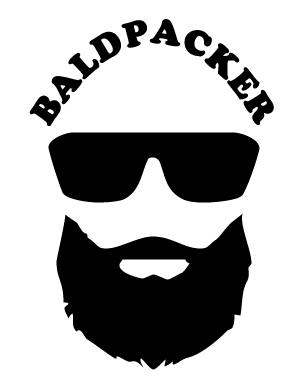 Aldabas were a display of status in medieval times. 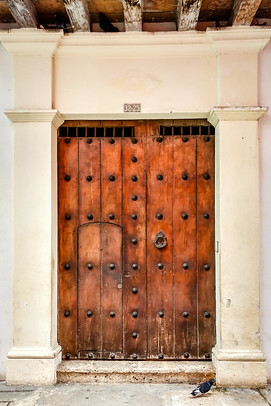 The size, intricacy, material, and symbol represented an owner’s wealth and position in Cartagena’s social hierarchy. 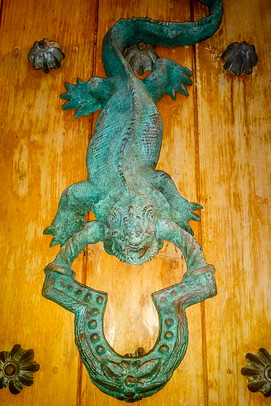 For example, a lizard represented royalty, a lion meant military, while a fish or mermaid denoted sea merchants. 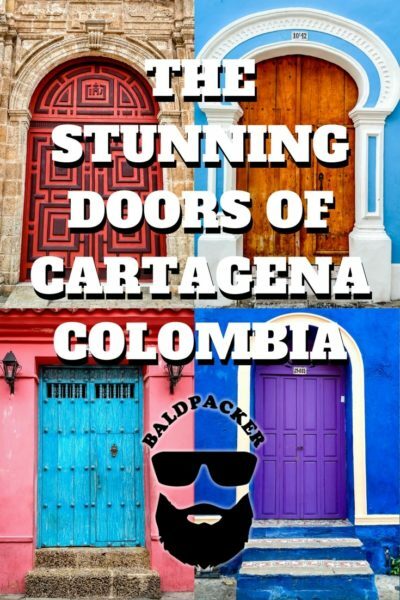 I’ve visited Cartagena twice now and both times my favourite activity was walking. 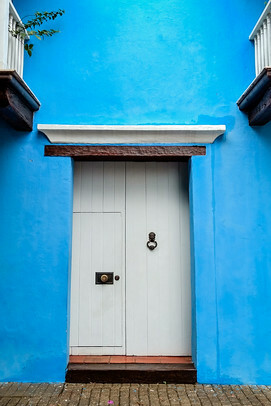 No map, no guide, no plan. 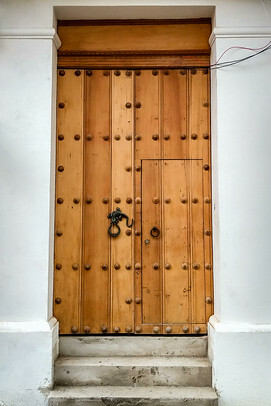 Just walking, observing, and imagining the past. 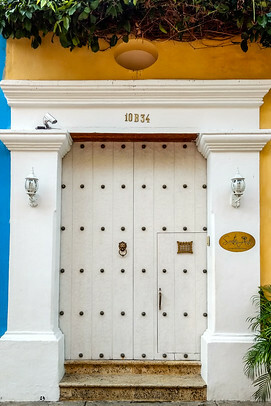 Based on my explanation of Cartagena’s history above, use your imagination and travel back in time through these photos. 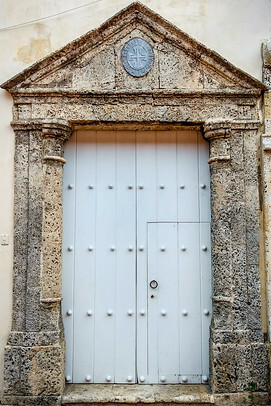 Think about who used these doors and what life would have been like when Cartagena was one of the “New World’s” most important ports. 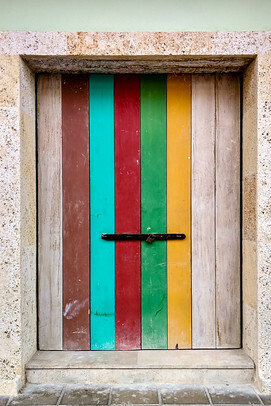 These doors are worth the trip!